Score or weight your survey's results to provide you with a better picture of each respondent. Teachers and professors, try Zoho Survey to create paperless tests! Scoring gives your data a mathematical representation. It's easier to analyze when you have a number to represent your results. For example, when a product is being rated on multiple factors, like quality, customer service, price, and packaging, with 10 points being assigned to each factor, a total score of 48 lets us deduce that it's a pretty successful product. That single metric can provide a complete picture of how things are going. Each factor may not have an equal level of importance. Perhaps quality is more important than packaging. In this case, we'd assign a higher weight to quality rates, giving us a more relevant and accurate result. 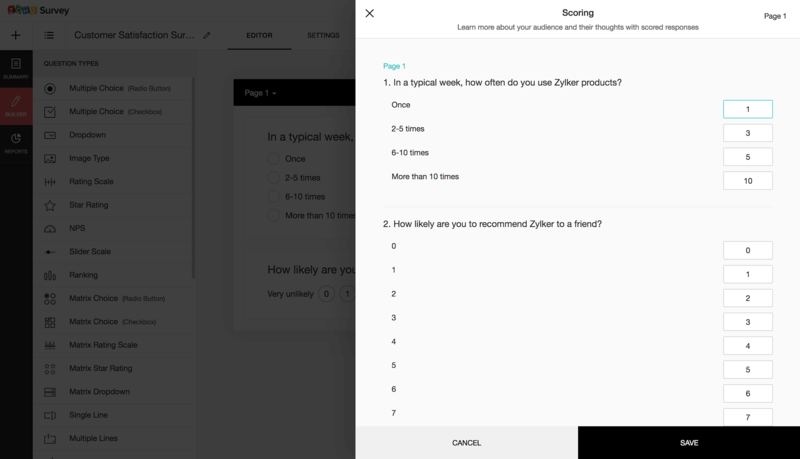 Assign points for the right answer and no points for the wrong ones—that's all it takes to turn Zoho Survey into a test. 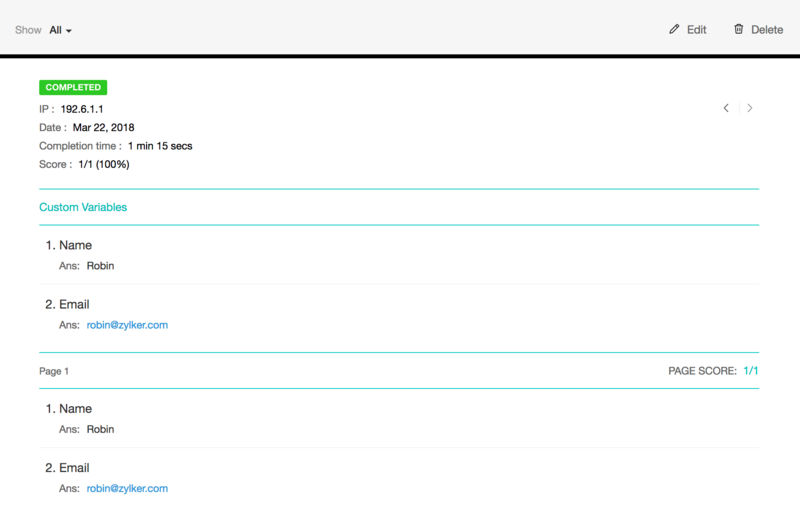 Once your students have taken the test, you can see the scores immediately with our real-time reporting capability. The higher the score, the better the respondents' perception of your organization. All you need to do is assign a positive value for each positive option, a negative value for a negative option, and a zero value for a neutral option. Combine this feature with the Zoho CRM integration and you can give your sales team clear reasons for why potentials are happy, unhappy, or neutral about your proposals.